CCP Groot here. 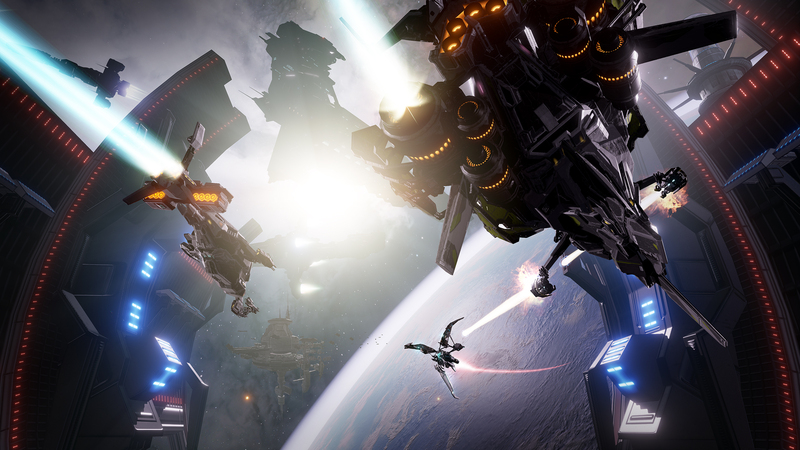 I’m one of the Game Designers on EVE: Valkyrie. 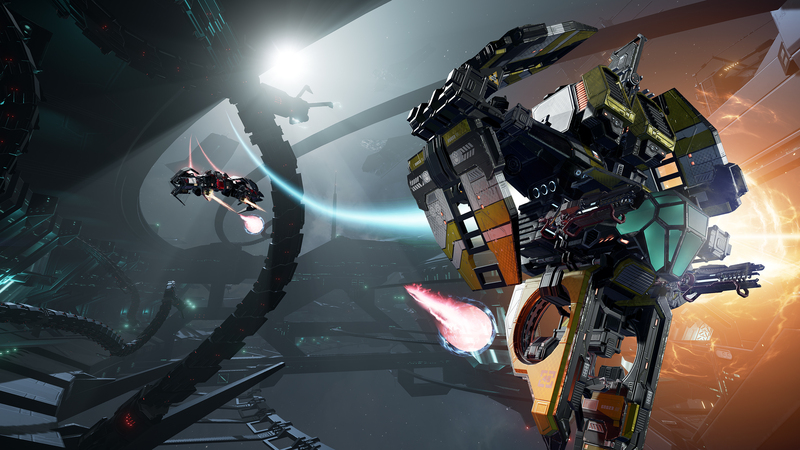 It has been a busy year for the team, and in anciptation of EVE: Valkyrie - Warzone, our most ambitious project yet - I’m here to chat to you a little about the design process behind one of the biggest additions in the upcoming expansion - the introduction of our new generation of ships. 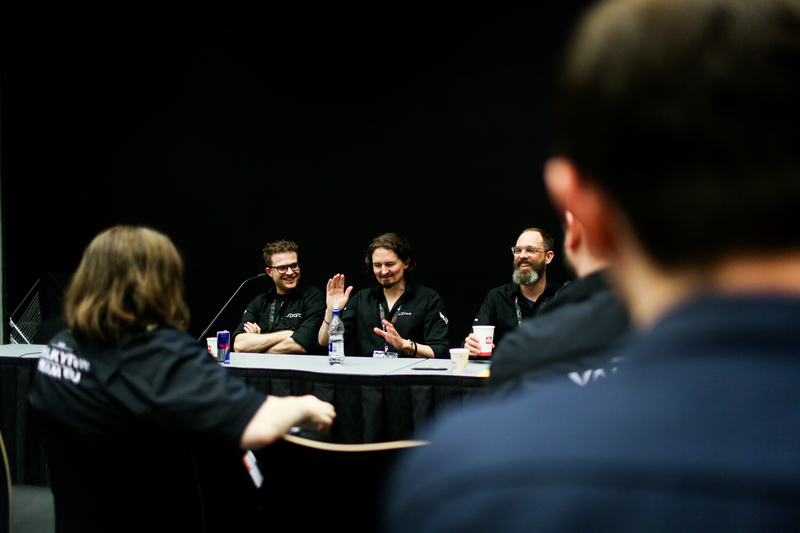 At this year’s EVE Fanfest, we revealed that we felt we needed to implement more meaningful variety and less incremental difference between our ships. With the upcoming Warzone expansion, we’re delivering on that promise. 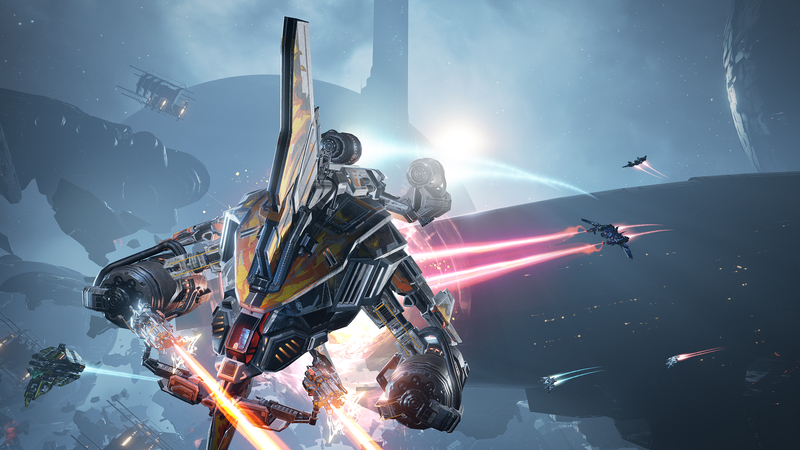 EVE: Valkyrie – Warzone’s next-generation fleet comprises four ship classes - Assault, Heavy, Support, and the new Covert ship class - with 13 unique ships, each with unique weapons and powerful Ultra abilities. Creating a new fleet is no easy task, so our first job was to look carefully at community feedback. 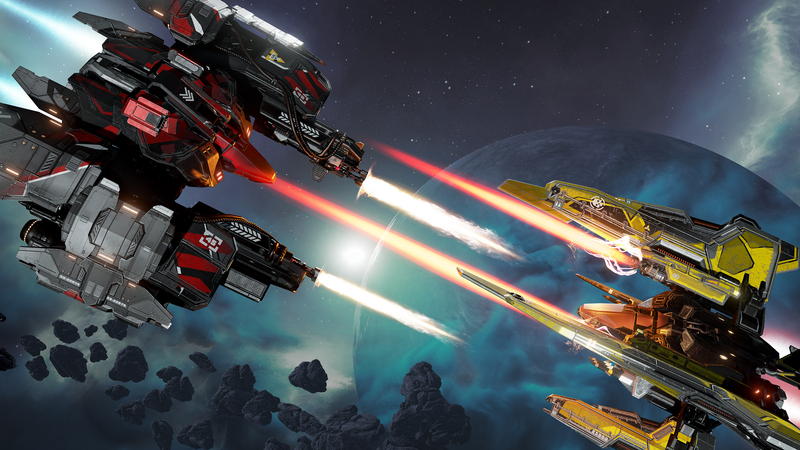 We wanted to update core gameplay aspects of Valkyrie after a year of observing how the community were playing the game, and also incorporate direct requests from the community itself. We also analysed what it was about our current ships that our pilots really loved, that brought them back to certain ships and playstyles. In addition, we looked at the most memorable and dynamic moments recorded, not just from the standard modes and matches but also from the unique modifiers that we had been testing with the community in our weekend Wormhole events. The result is this new generation of ships, representing an evolution of the classes, weapons and playstyles that have come before. This next-generation fleet is even more compelling, challenging and exhilarating to master. With that in mind, let’s take a look at what goes in to designing the Warzone expansion’s fleet. A lot of work goes into the design of a new ship. We start with a paper design where we begin to detail the ship’s class, role and gameplay. This is then reviewed by the rest of the team. On passing the review, we move to the prototyping stage, which we playtest and iterate on. After several playtest sessions and feedback loops, we judge the prototype. If the ship passes the prototype stage, the ship is green-lit for production. However, there are instances where we need to re-evaluate ships or certain aspects of its loadout. In some cases, prototypes don’t work out how we expect, as what works on paper doesn’t always work in-game. The goal for our next-gen fleet of ships was to take the existing ships and give them all unique gameplay identities. To do this we needed to evaluate our current roster of ships. Valkyrie has 23 playable ships; however, a lot of these ships could certainly have been seen on the battlefield more often! With some ships being used more often than others, we used Warzone as an opportunity to focus the roster. When assessing the ships, the first thing we looked at were the core design pillars for that class. Design pillars consist of two or three aspects that define what we want from the design of the ship. When creating roles, mechanics or gameplay for a class, they should all support the pillars designed for that class as they are a reference for our design decisions. “Assault ships are mid-range ships designed to intercept enemy ships and harass opponents”. We then look at a mechanic we’ve designed; for this example, we’ll use the repair beam. We then cross-reference repair beam design with the Assault pillar above. In this case the repair beam mechanic doesn’t fit with this design pillar. It also encroaches on one of the roles we want our Support classes to fill. After we’ve established which class an ability fits with, we then go on to examine each ship and the roles we want them to fulfil. Similar to how we evaluate an ability or weapon for a class, we use the same theory and apply it to the ship’s role. A basic example of this would be that a ship designed for short range engagements wouldn’t be equipped with a sniper rifle. We apply this method to the ship’s complete loadout piece by piece. We then consider the ship as whole to make sure that each of the weapons and abilities complement each other for the given role. If we examine the new Covert class, the ship’s role is to ambush and assassinate opposing ships. To achieve this, the ship has a cloaking ability that makes it invisible to enemy ships. Its secondary ability is Mark Target; this gives the Covert a damage boost against any target they have marked. These two abilities synergize with the Covert’s primary weapon to fulfil the ambush role. The ship’s class, role and loadout also help to inform the visual design for the ship. The Strix visual design is informed by its role as a sniper. We purposefully elongate the ship’s weapon to give it the feel of a precision instrument. This, coupled with the ship’s sleek and slim silhouette, makes it harder to spot over long distances. The next stage of the process is looking at how ships can work together using their combined abilities. 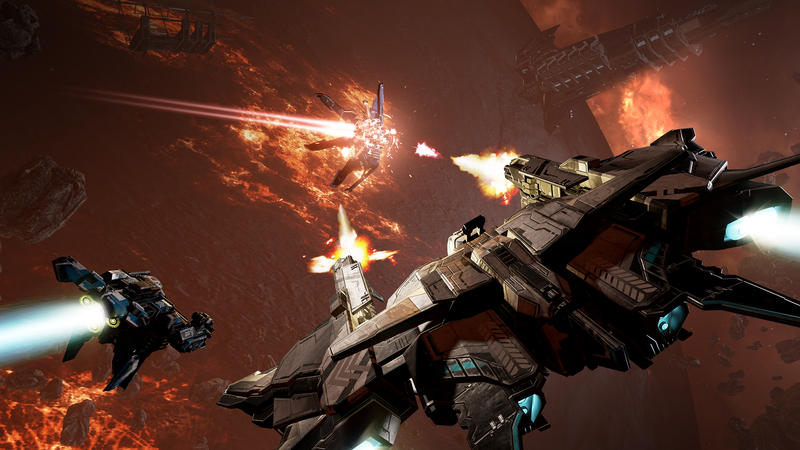 As an example, the Vulcan is designed to be a short-range Heavy ship that gets into the face of the enemy. It is designed to be able take a lot of damage with, potentially, multiple ships required to deal with it. Whilst this is happening and the enemy is distracted by the Vulcan, a Covert can ambush an enemy target dealing high damage before slipping away. These two gameplay styles can complement each other, supporting and encouraging team play. It’s important to keep in mind that this is just a snapshot of what goes into designing ships. The new Warzone fleet is just the beginning, we’ll be looking at fine tuning the ships, adding others and experimenting with their load-outs as the game develops, as always in close contact with our community. We are hugely excited by the new ship roster and the Warzone expansion, and we very much hope all of you will enjoy it and find it as exciting as we have! Stay tuned for detailed ship guides, behind the scenes looks at the new maps and more in the coming weeks, and Fly Safe.